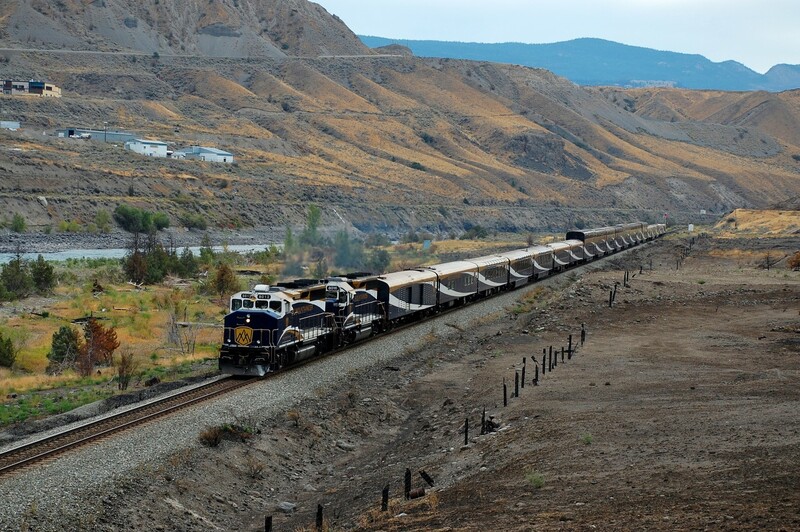 Railpictures.ca - Richard Hart Photo: RMR nos.8012 & 8016 are rolling into Ashcroft with an eastbound train. Burned fence posts to the right of the track highlight an area that suffered during an early summer wildfire. | Railpictures.ca – Canadian Railway Photography – photographie ferroviaire Canadienne. Caption: RMR nos.8012 & 8016 are rolling into Ashcroft with an eastbound train. Burned fence posts to the right of the track highlight an area that suffered during an early summer wildfire.